She is a Registered Representative, and an Investment Advisor Representative of Cetera Advisor Networks LLC, Member FINRA/SIPC. (Larkin & Associates is not affiliated with Cetera Advisor Networks LLC). With a Master’s degree in Education from Arizona State University, Sue has been an instructor of investment courses since 1984. She received a “Creative Programming” award from the National University Continuing Education Association – Division of Programs for Women, for her course entitled “My Husband Always Handled the Money.” Sue and her husband Don are co-authors of the practical financial guide for retirees, The Larkin Guide: Enjoying the Riches of Retirement. It was featured in USA TODAY in a special section on financial planning. Over 10,000 copies of the book have been distributed. Sue served a term as president of the Greater Phoenix Chapter of the International Association for Financial Planning (IAFP) and a term as president of its successor organization, the Financial Planning Association (FPA). Sue is involved in a number of community organizations including Friends of the Surprise Libraries Board of Directors. 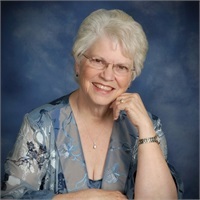 She is on the Board of Directors and has served three terms as president of Altrusa International of the West Valley, Inc. Sue has served as secretary and treasurer of the Board of District Eleven of Altrusa. She served several years on the Board of Directors, including a term as Secretary, of Mingus Mountain Estate Residential Center, Inc., a non-profit residential treatment center for teen girls, located near Prescott, Arizona.